SHINE is a Japanese artist / DJ / promoter. He started in the industry in 1999, in Japan/Osaka. 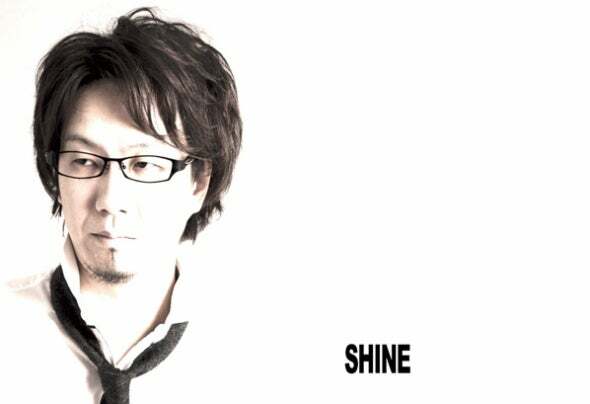 He began to organize parties, DJing energetically, and took the nucleus of the Japanese techno scene.Shine has played as the headliner of many premium club events in Japan. In 2008, he established "Lunar club" as the top-class club inOsaka and began playing an active part as the representative upfront Japanese TECH artist. Then, with the theme of "to World-wide from the Pan- Pacific", he launched the techno label, Torque, with Masa Ueda, to activate the scene anew since the fall of 2012. He organizes the Torque Label Night Showcase (Tokyo,Osaka,Nagoya) monthly. So far he has blown away various dance floors in London, Moscow, Mongolia,Slovakia, Amsterdam, Spain, and Japan.